Sports-Hound takes the most visited Sports websites in the world and combines them into one nice, neat easy to use App. Find out more Sports news in less time. ADD/DELETE - Is there a Sports website you use not listed on our app? No problem. Our app will let you add the sports website of your choice with a few clicks. FULLSCREEN - Our app supports fullscreen with the push of a button. SHARE A LINK WITH EMAIL, TWITTER, & FACEBOOK - Share any sports news you like instantly via email, twitter, and facebook with the push of the share button. 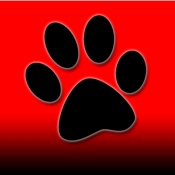 DEFAULT PAGE - Sports Hound has the feature to set any webpage you like as the default page that loads when you start the app. YAHOO SPORTS, BLEACHER REPORT, SI.COM, SB NATION, YARDBARKER, SCOUT.COM, SPORTING NEWS, DEADSPIN.COM, THE SPORTS NETWORK, SKY SPORTS, TSN.CA, and all the other popular ones you're wondering about! Thanks for checking out our app. Please email with any questions or suggestions. We'd love to hear about it.